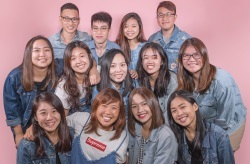 With the success of A Noodle Story and Coffee Break, Amoy Street Food Centre has emerged a playground for new stalls to serve modern hawker fare. 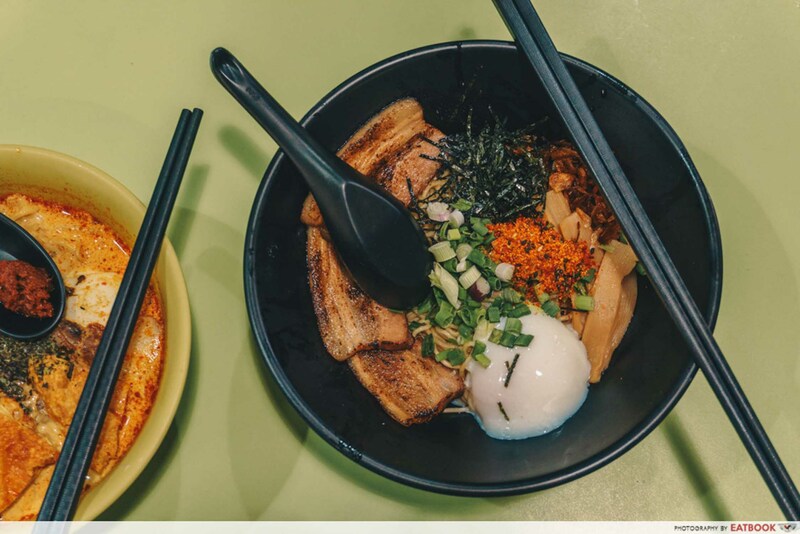 Daily Noodles is the new kid on the block, introducing Japanese maze soba to the hawker scene in the CBD area. Staring at the array of neatly arranged sides such as bamboo shoots, spring onion, dried shrimp and nori, the Chashu Maze Soba ($6) was a kaleidoscopic treat for the eyes. Maze translates to “to mix” in Japanese. The blend of spicy chilli flakes with the light saltiness from the seasoned bamboo shoots, creates a palate-pampering meal. 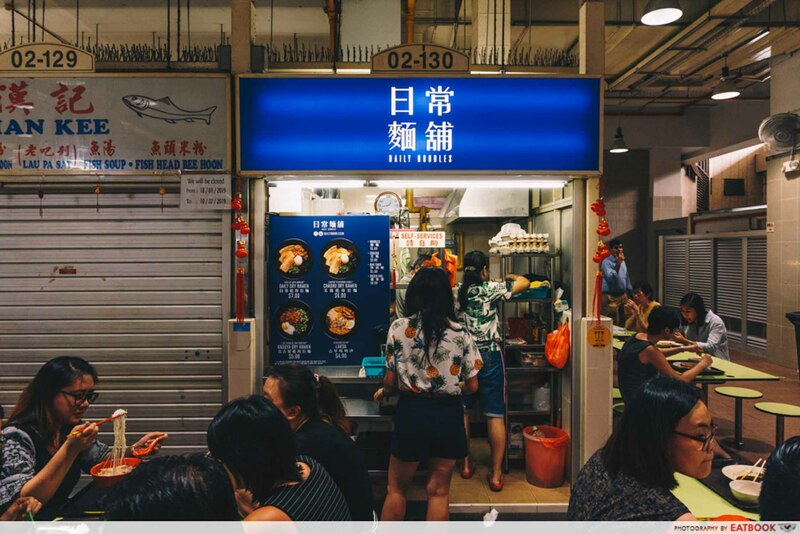 Crafted from a custom blend of premium Japanese flour and udon flour, the al dente noodles had a unique texture, which hovered between the springiness of wanton mee and the chewiness of ban mian. 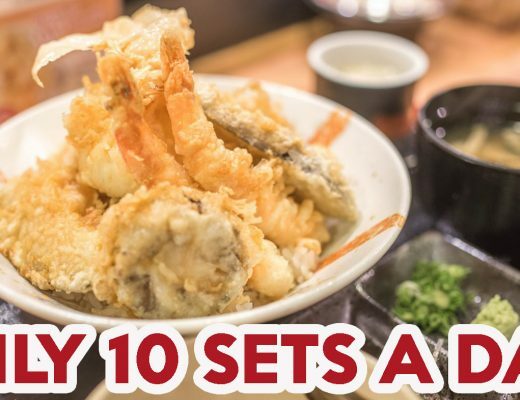 Having expected a generous layer of sauce – a characteristic of a good maze soba – to rest beneath the noodles, I was disappointed by the overall dryness of the noodles. Given the resulting clumpiness of the noodles, the onsen egg was, therefore, an indispensable element of the maze-soba. 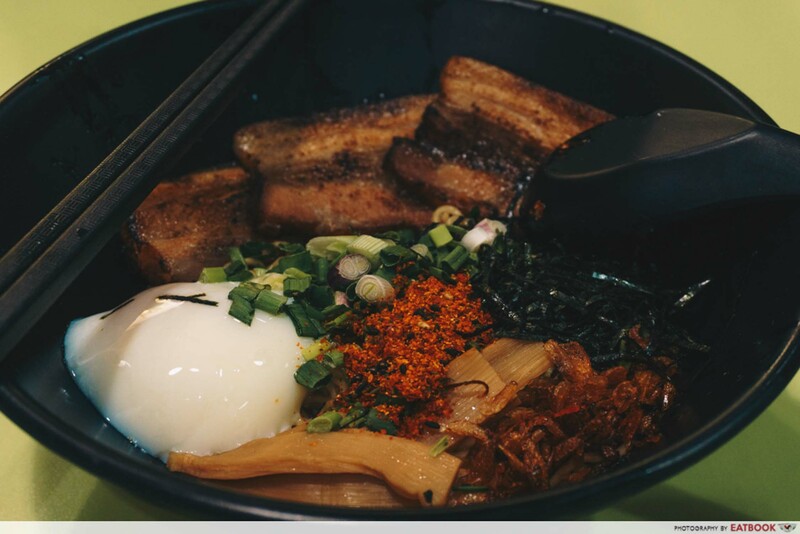 Similar to how a raw egg creates a glossy coating for the cooked rice in tamago gohan, the semi-liquid egg yolk amplified the smooth texture of the noodles. However, the best topping was the thick slices of chashu. 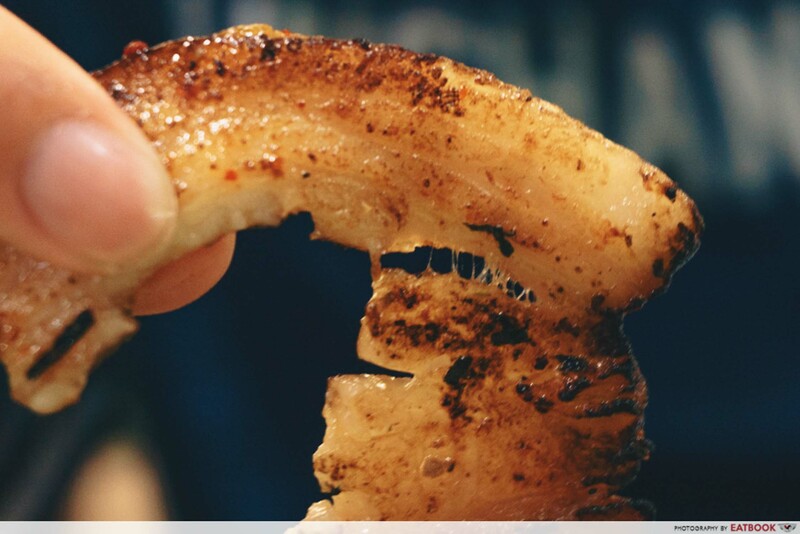 In preparing the chashu, pork bellies were seared to a seductive char, releasing a smoky aroma. Cleverly prepared, the meat effortlessly tore apart. The meat had a distinct porkiness, tinged with nuances of five spice powder. Every bite was strongly reminiscent of lor bak. 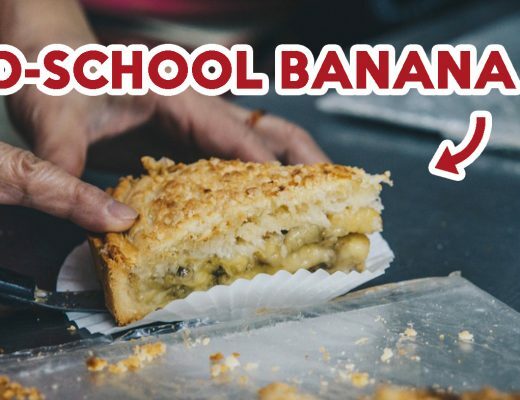 I also love how the fats instantly disintegrated in my mouth, unfolding in a rush of rich flavours. 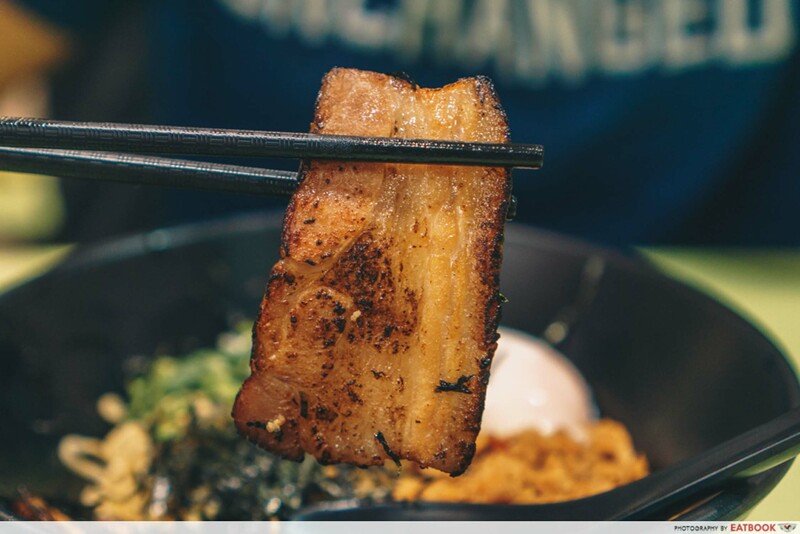 Should you find the sliced pork belly too greasy, I suggest dipping it into the egg yolk. 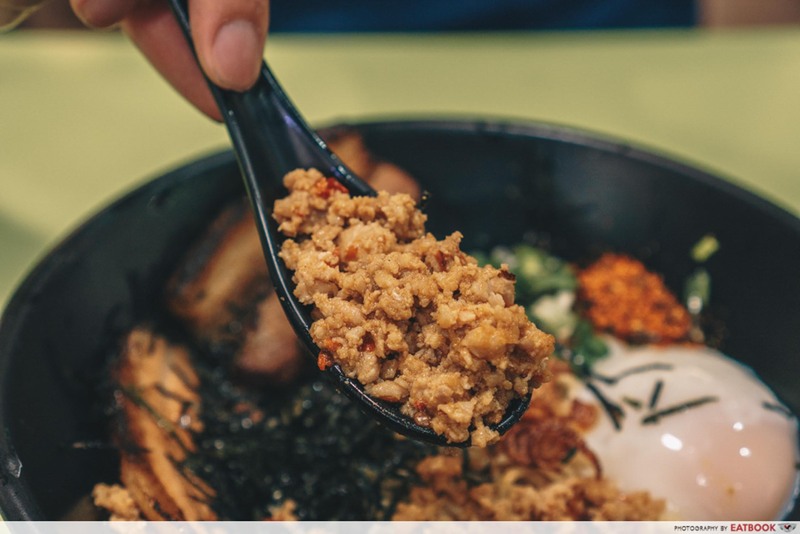 The fermented bean paste’s saltiness and the chilli padi’s spiciness laced the minced meat. It reminded me of my grandmother’s cooking, and the entire bowl oozed with nostalgia. To complete our meal, we tried their Laksa ($4), which has ramen noodles drenched in a traditional laksa broth. Despite being soaked in the laksa broth, the ramen noodles retained a firm springiness. The milky laksa broth tasted pretty average. While it exuded a pleasing lemongrass aroma, it lacked the richness of coconut milk, which is emblematic of a great laksa broth. The sambal chilli added zing to the dish with hints of onion and hae bee. 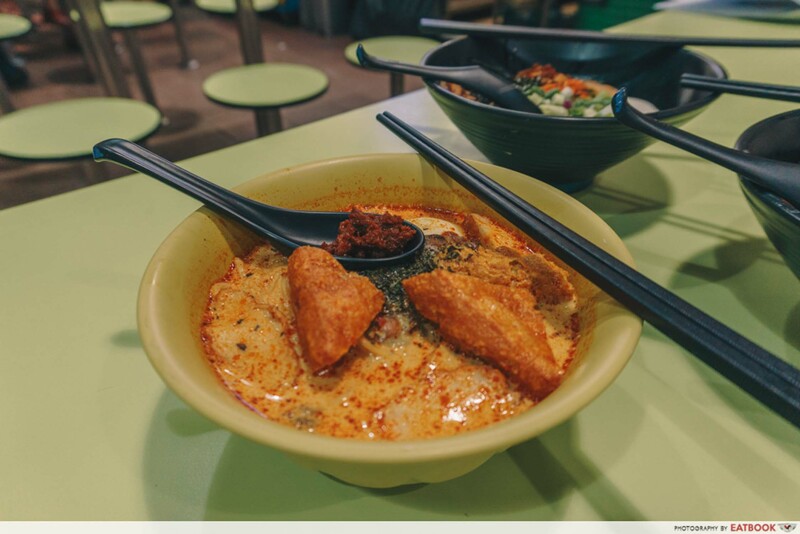 When incorporated into the laksa broth, the saltiness of the dried shrimp overpowered the insipid laksa broth. 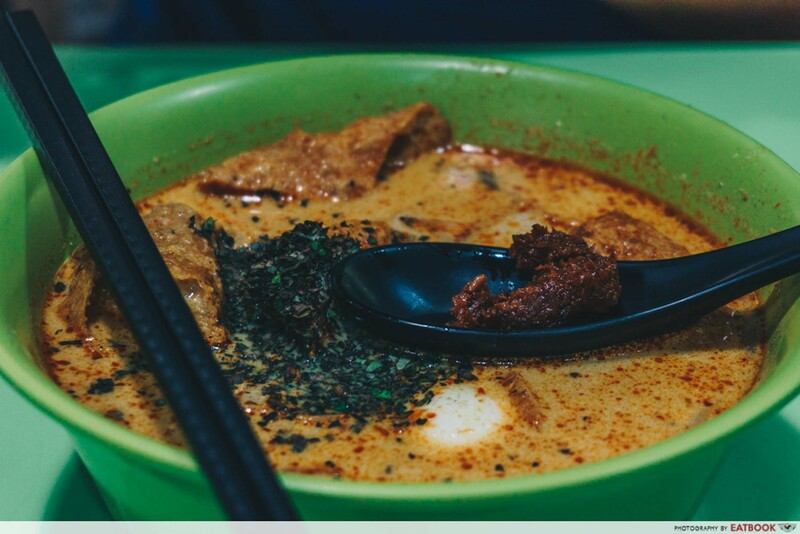 Special mention goes to the impressive tau pok, which fully soaked up the laksa broth like a sponge and released a deluge of broth in one’s mouth. 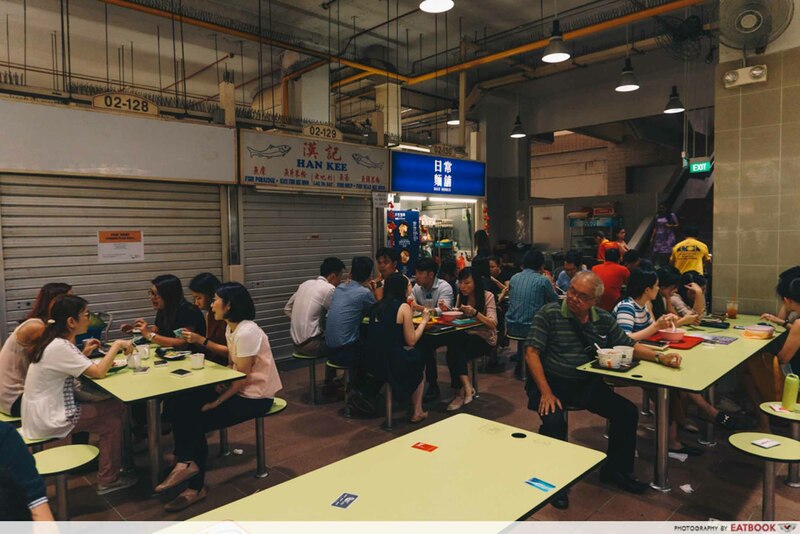 Considering Amoy Street Food Centre’s popularity with CBD office workers and Daily Noodle’s early closing hours, it is advisable to frequent the stall before lunchtime to avoid jostling for seats. 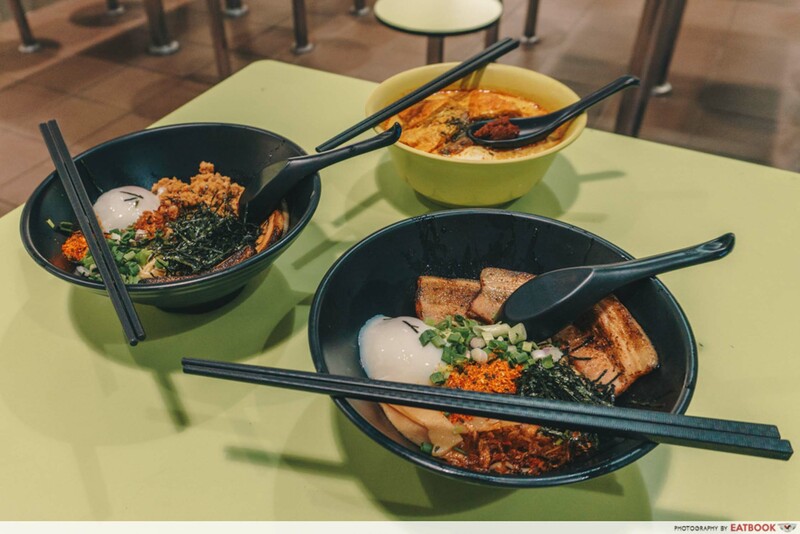 Daily Noodles’ addictively bouncy noodles and aburi chashu are a welcome break from the monotony of bak chor mee and ban mian from hawker centres. 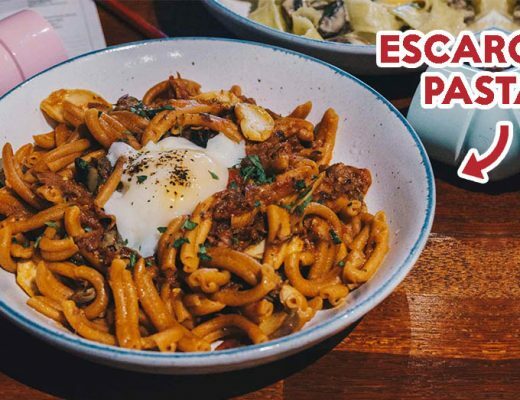 Make a beeline for Daily Noodles the next time you are searching for food gems in the CBD! 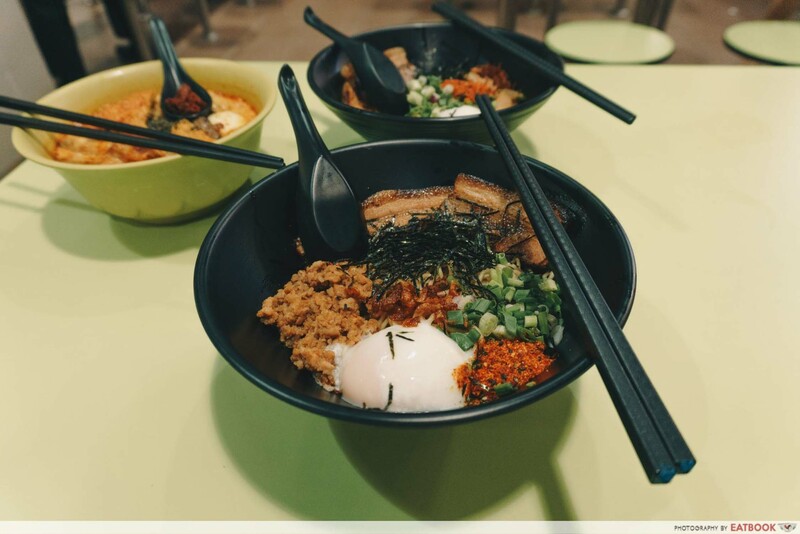 If you are looking for other great alternatives at Amoy Street Food Centre, check out our review of Kinobe, an eatery selling quality Gyudon at $6! 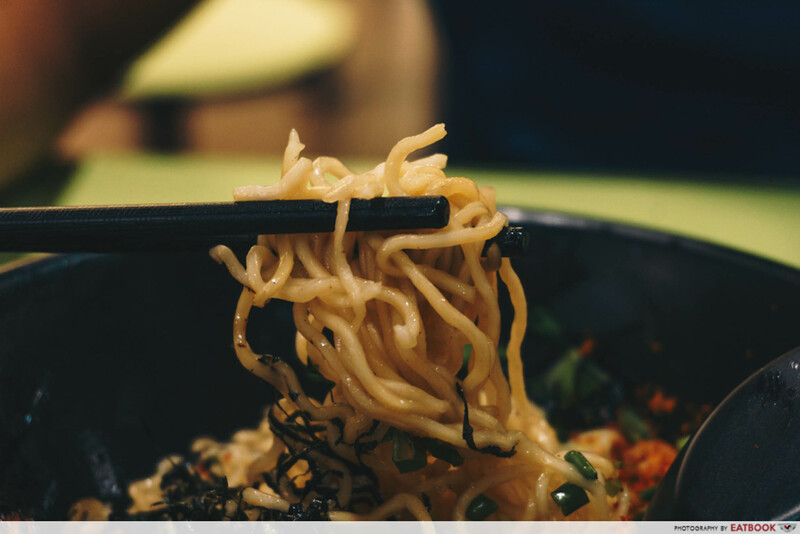 Daily Noodles is not a halal eatery.